if you ever see this album or cd if avail…pick it up..this is one of my prized possesions that im currently listening to..there is a re-issue with a brown back drop and another model. UP-liftment! This entry was posted on November 23, 2010 by unique74mag. 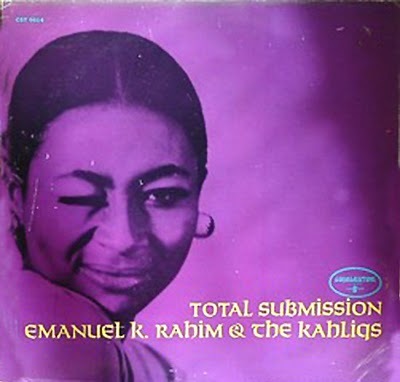 It was filed under Unique 74 and was tagged with Buddah Records, Cobblestone Records, Emanuel K. Rahim & The Kahliqs, Unique74, Vinyl.